Kicking off Gamescom in Germany today, Microsoft began its Xbox One conference by putting the blockbusters to one side and focusing on the indies. Independent developers will be able to get stuck into Microsoft's new initiative, ID@Xbox, which will provide creators with a proper platform to showcase their work. 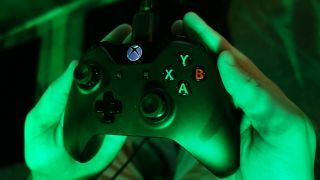 Registered developers will have access to two free Xbox One development kits, while being able to include features such as SmartGlass and multiplayer options. We knew Microsoft had a self-publishing system in the pipeline, and now we know exactly how it will work. The ID@Xbox page is open right now for developers to go and sign up at no administration cost. Then it was time to move onto the big names, and Microsoft made a lot of people happy with the announcement of Fable Legends from Lionhead Studios, which will arrive as an Xbox One exclusive. The game is designed for four player co-op, but with a neat twist – another player takes the role of the villain, controlling hoards of enemies. There was also some more details on Call of Duty: Ghosts, with Activision announcing that the game will have dedicated servers powered by Xbox Live cloud. Microsoft also announced a Call of Duty: Ghosts premium Xbox One bundle which will see the game thrown in with the console, however no price was given. Finally, confirming previous rumours, Microsoft confirmed that pre-order Xbox One consoles in Europe will come bundled with FIFA 14 when they arrives this Christmas, although it hasn't said what game the rest of the world might get packaged instead.